Term Life Insurance Is My Choice! Term life insurance is my choice, should it be yours? We all know that life insurance is important, so it is a matter of choice which one is right for you. If you are young, healthy and expect to stay that way, term life insurance should be your choice. Does that mean, whole life insurance is out? No, but there are a few things to consider first. Let’s start with some definitions. Term life insurance covers you for a fixed period of time (1-30 years) for a fixed amount of payments. If you stop making payments, the coverage stops! Whole life insurance is a life insurance policy that remains in force for the insured whole life and requires payments for the entire policy life. Term insurance is temporary where whole life is permanent. Term only has value if you die. Whole life has a cash value. The main difference between the two policies is whole life insurance has an investment component. That is what creates a cash value. 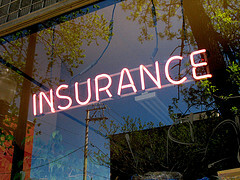 The advantage is you as the insured can borrow against that cash value to pay premiums. Whole life comes with higher sales commissions. It is not just for the first year either. Whole life is more expensive, but the payment will stay the same for your entire life. Should you buy whole life insurance? Do you have a family history that may affect your life or health? Whole life may make more sense. Term life insurance is less expensive and you choose the length of coverage. The premiums stay the same for the period of time you choose. The premiums are lower and you can invest the difference yourself. After all, your insurance needs are different if you are in your twenties or near retirement. What do you think? Whatever you choose, you should get a life insurance quote so you know how much it costs. Which one is right for you? It is up to you. There are a variety of life insurance solutions and you should investigate all of them. Life insurance is an important part of your over all financial plan. Do not ignore it. Term life insurance is my choice, what is yours? Prairies EcoThrifter hosted the Yakezie Carnival and included Budgets are Easy! Sounds like a good way to solve the insurance problem. The next question will be the amount of insurance. I think whole life insurance is a rip off. I’d rather a million dollar check than a $15,000 one. I think term is 100% the way to go whether you are young or old. Whole life is how insurance agents earn their money. Don’t be fooled. I see the value in whole life, if you lose your health. The difficulty is predicting that! As an investment product, it has higher costs and lower returns. We have term insurance right now. We are younger and still carry a mortgage and don’t yet have kids. However our plan is to build up enough equity and assets to eventually not have to carry a policy. I see insurance as income replacement and some may use it to reduce or pay off debt or liabilities. Even if you have sufficient assets, you still may want insurance for income replacement. Term Life all the way! My first life insurance policy was a Variable Life policy (a cheaper version of Whole Life). The salesmen told me what a great investment it would be and how it would build into this great bundle of money that I could use someday for all these magical desires. 5 years later, I had done nothing but paid for really expensive insurance. The cash value it had built was (go figure) less than the “surrender value”. So when I switched to Term, my “great investment” net me absolutely nothing. Buy insurance for what it is – insurance. I agree, for me, it is income replacement. I’d be going with term if I didn’t have very-subsidized insurance through my employer. Actually I have a term on my wife. But basically, once I’m older, the kids and through college and we’re set up for retirement, I don’t intend on continuing to pay for life insurance forever. The goal shouldn’t be to make your heirs rich (while making yourself poor paying for it), but rather, to have it in case of emergency when you’re younger and your family is more reliant upon you. I still see some relevance for income replacement. I think of insurance as income replacement as well as for funeral arrangements.